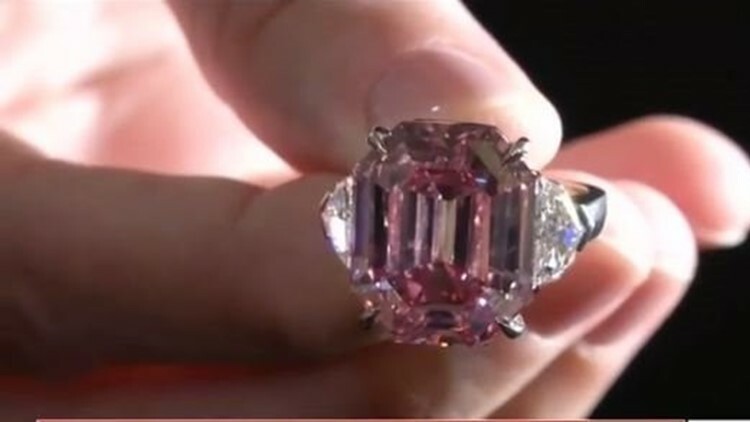 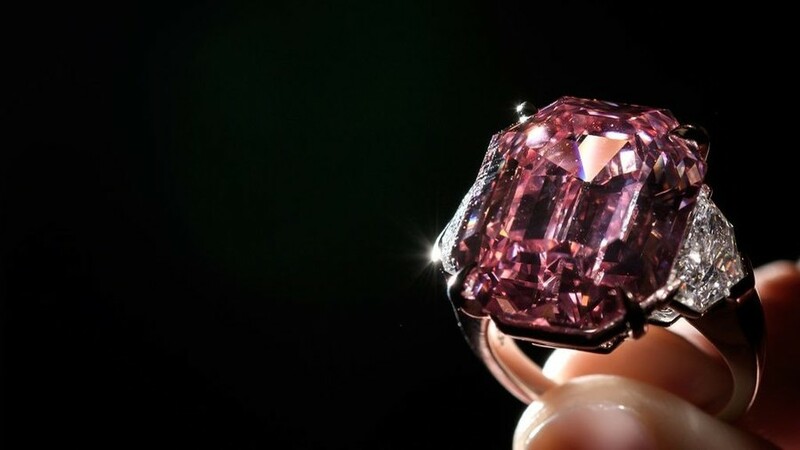 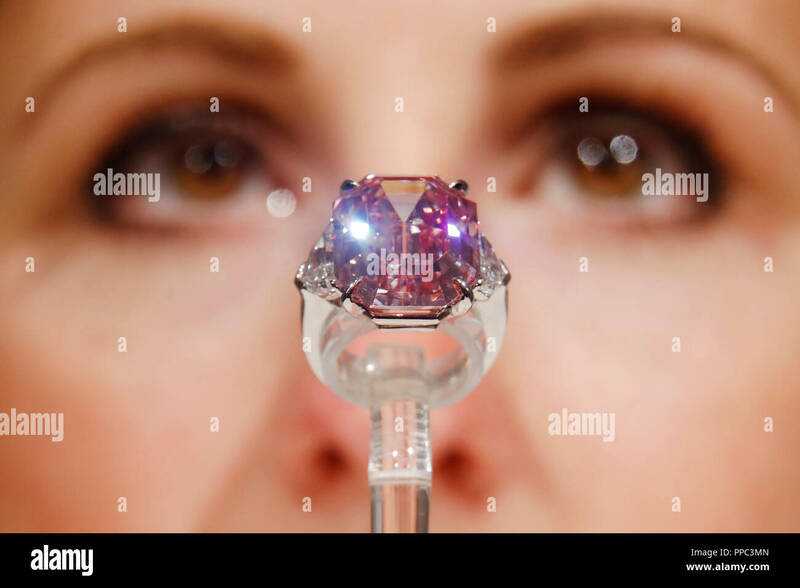 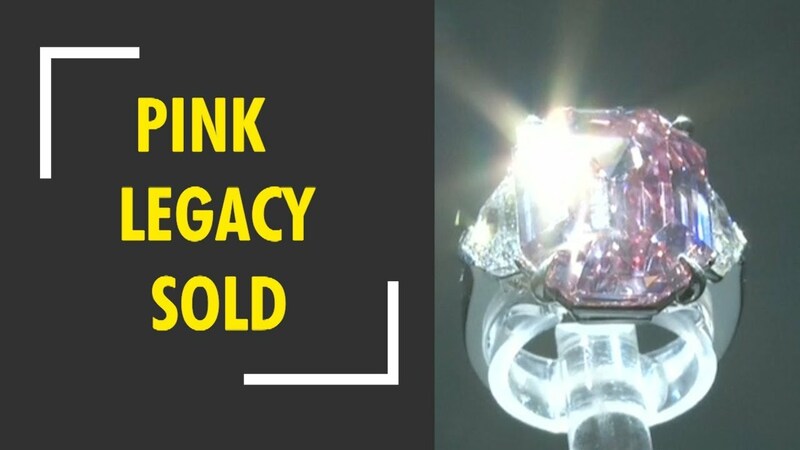 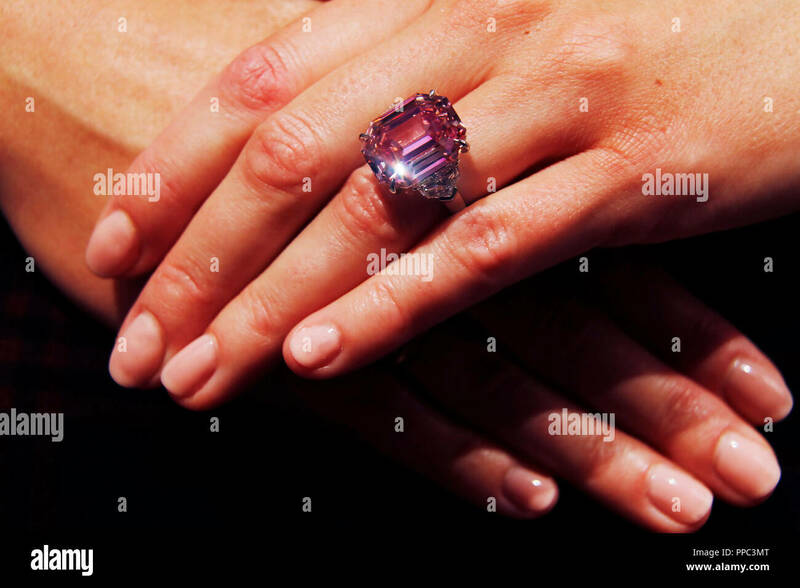 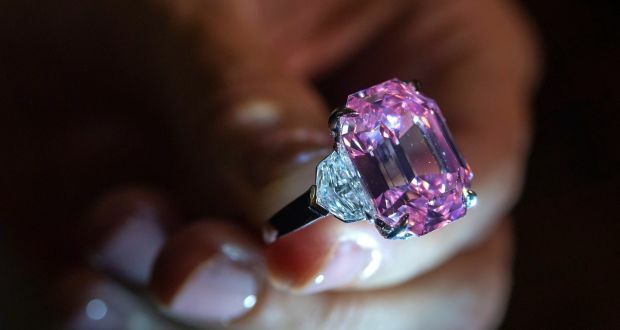 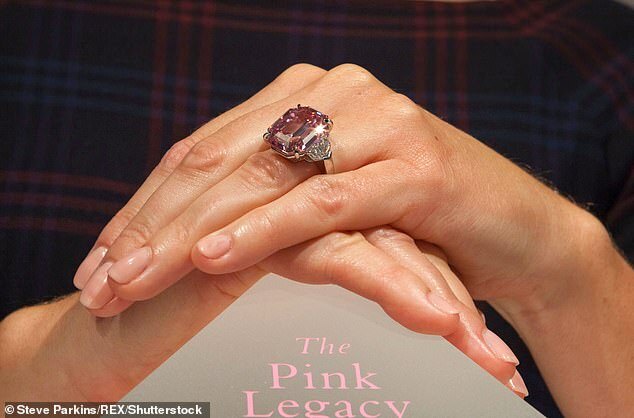 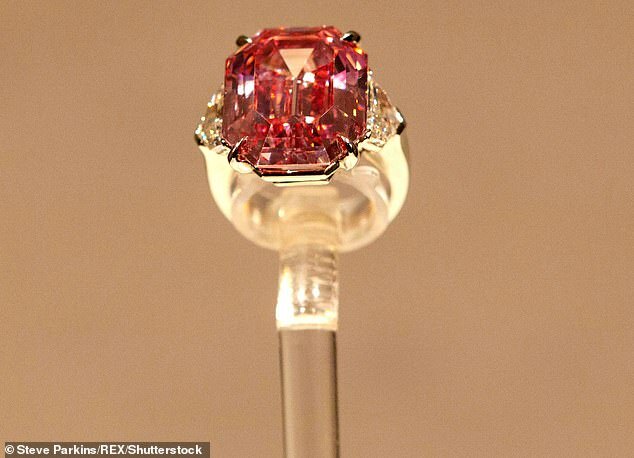 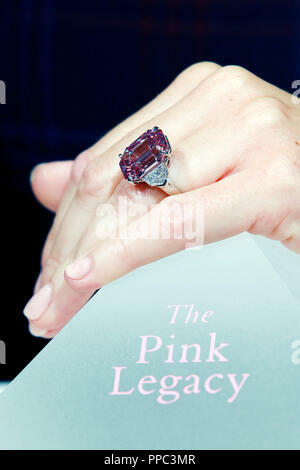 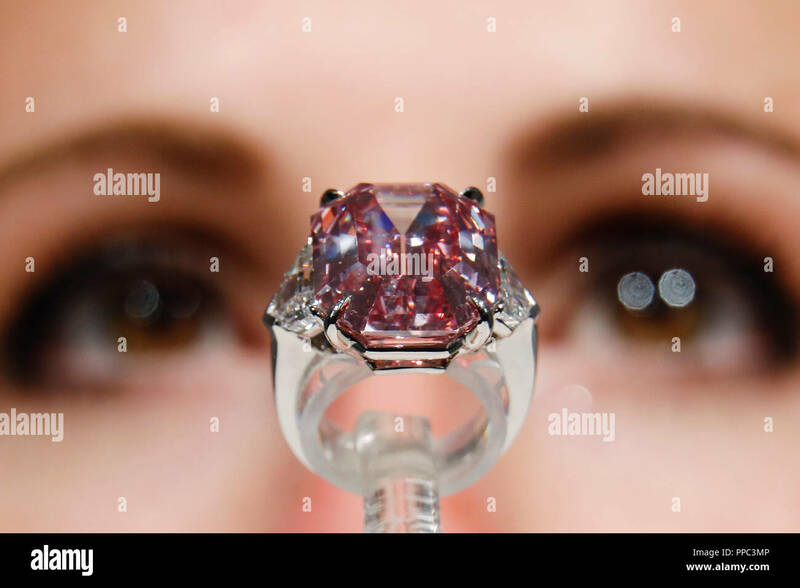 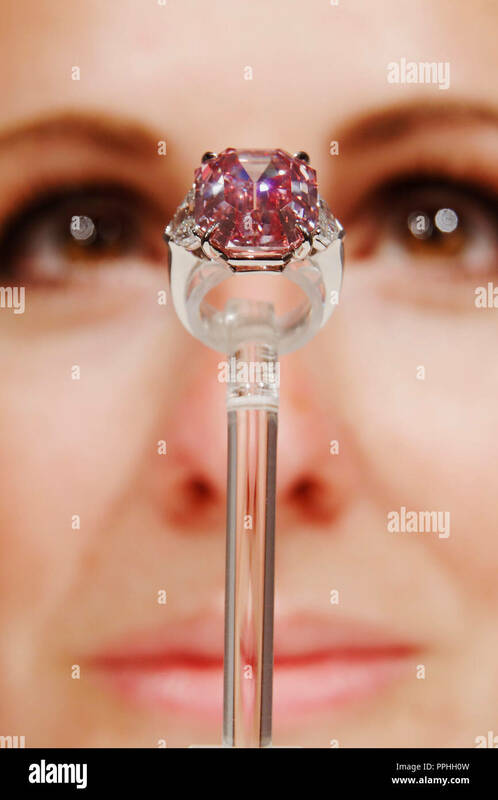 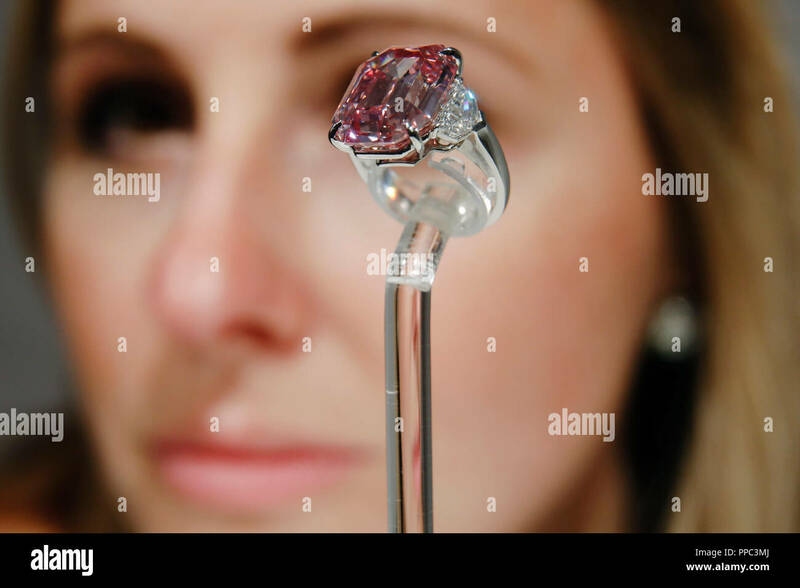 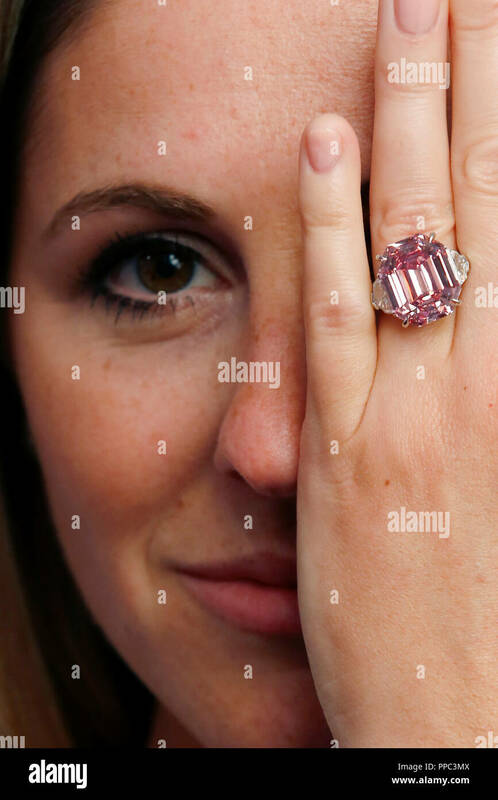 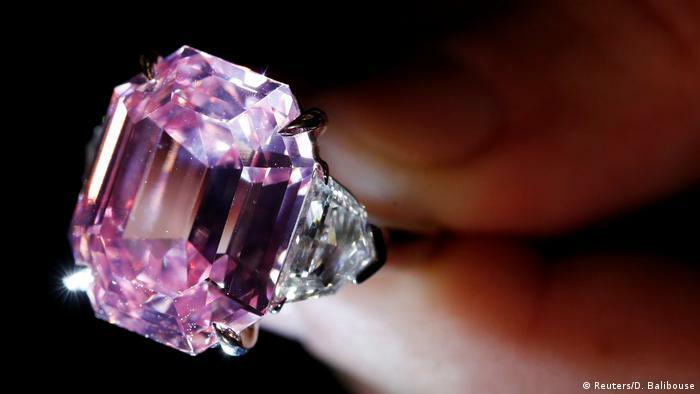 Rachel Evans-Omeyer, jewellery specialist, poses with The Pink Legacy Diamond at Christie's Auction House, London, Tuesday, September 25, 2018. 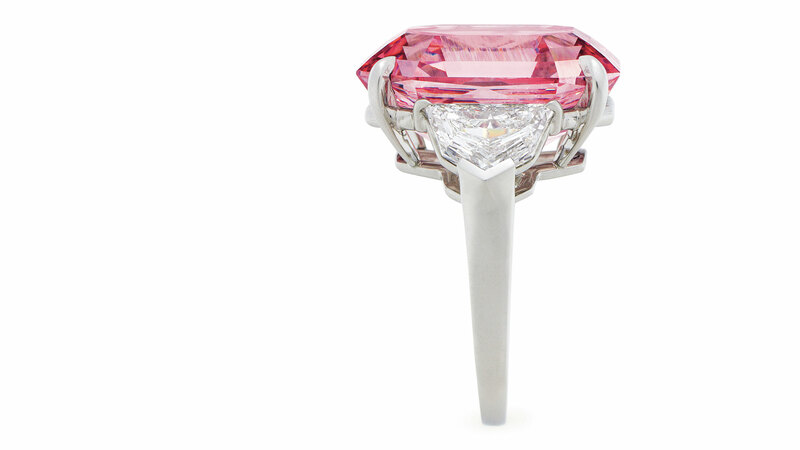 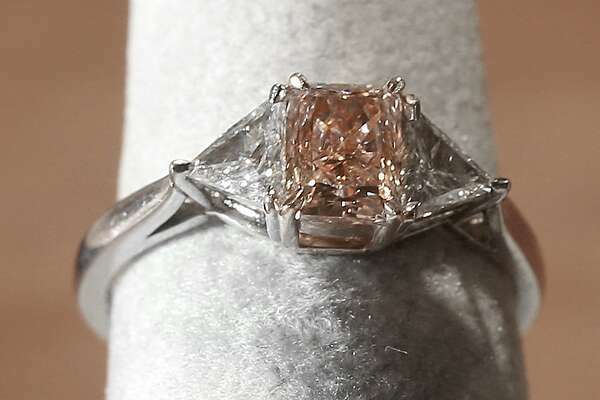 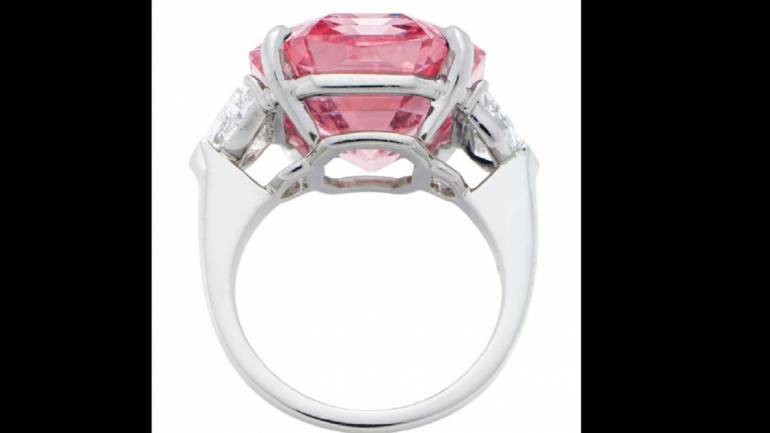 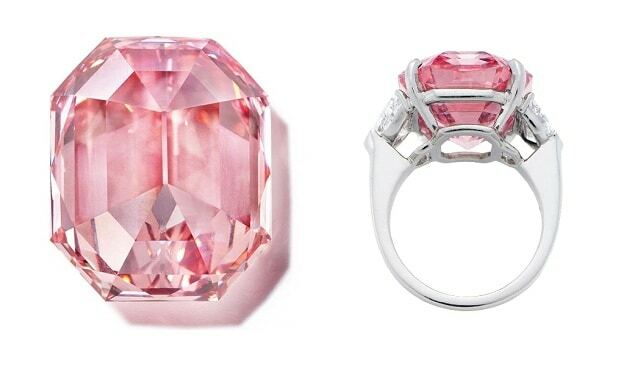 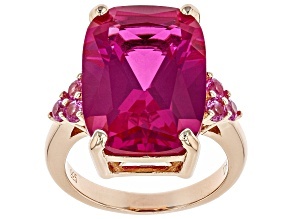 Tiffany Harmony™ Fancy Pink diamond side stone ring in rose gold and platinum. 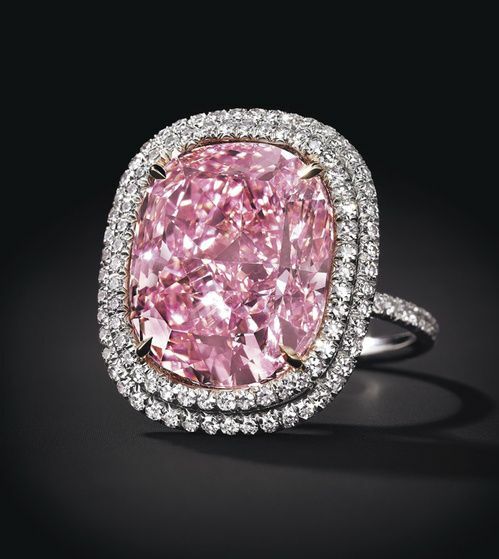 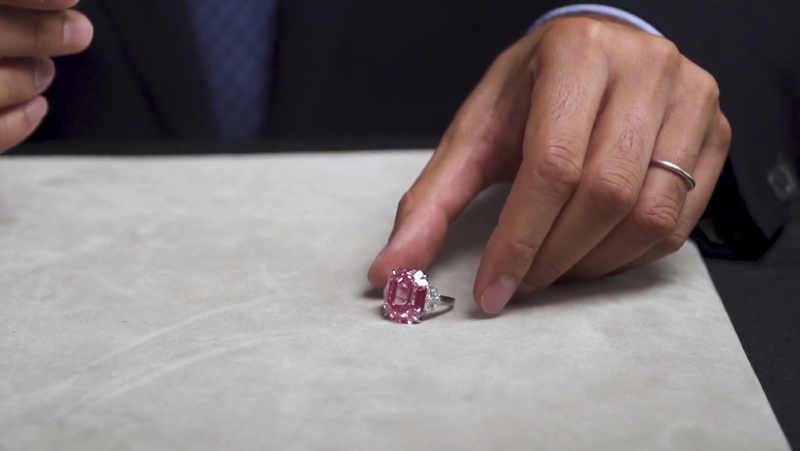 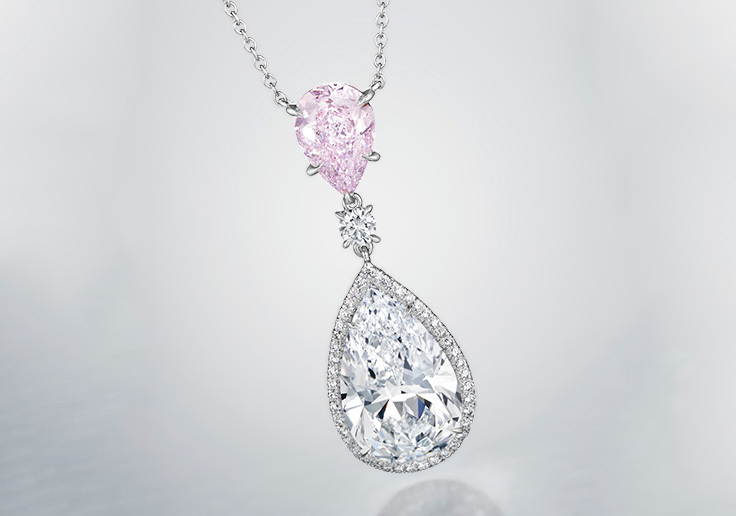 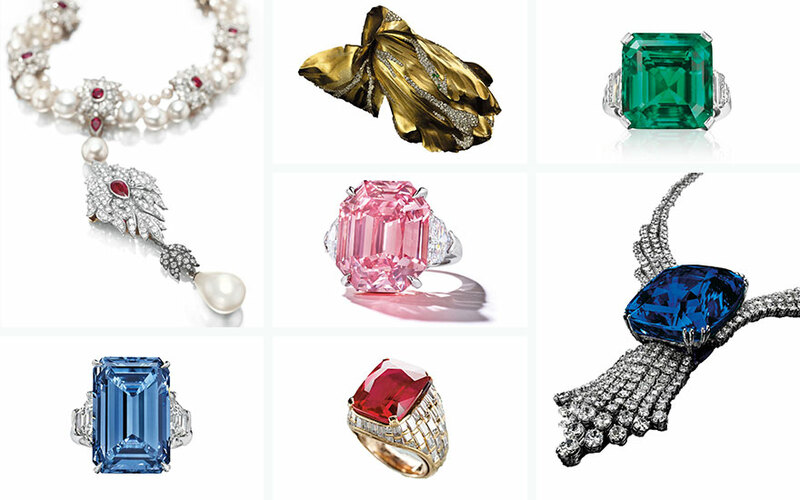 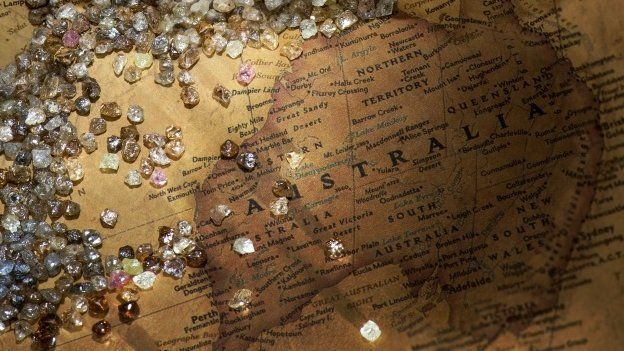 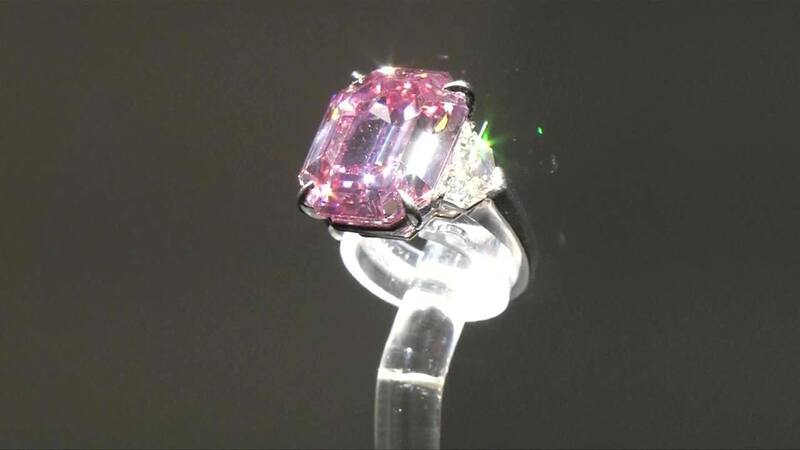 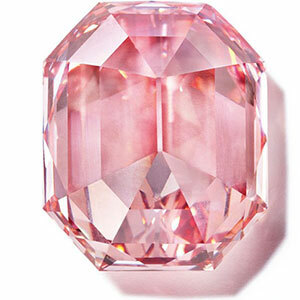 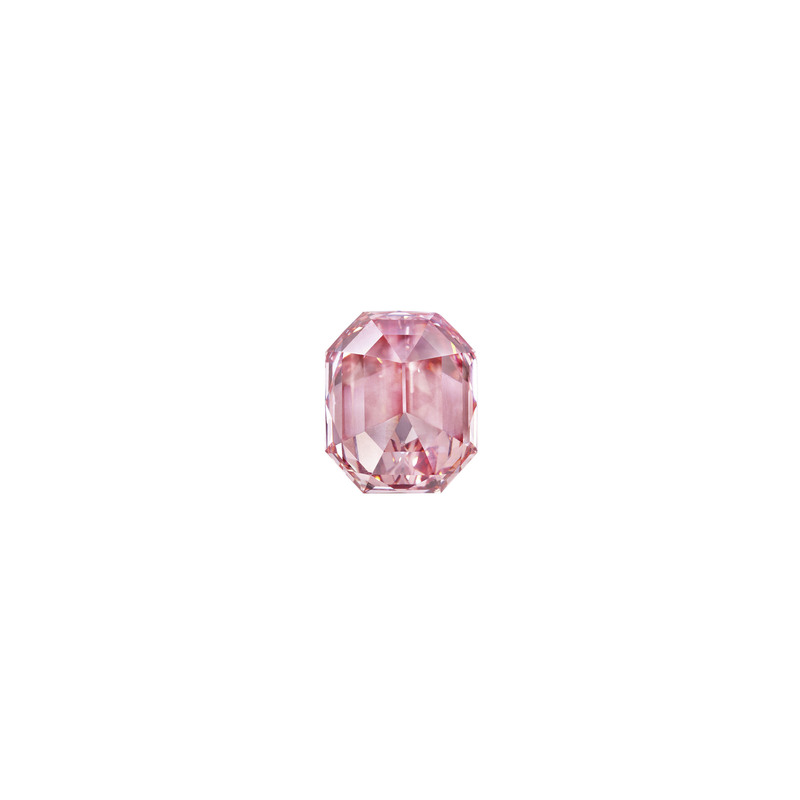 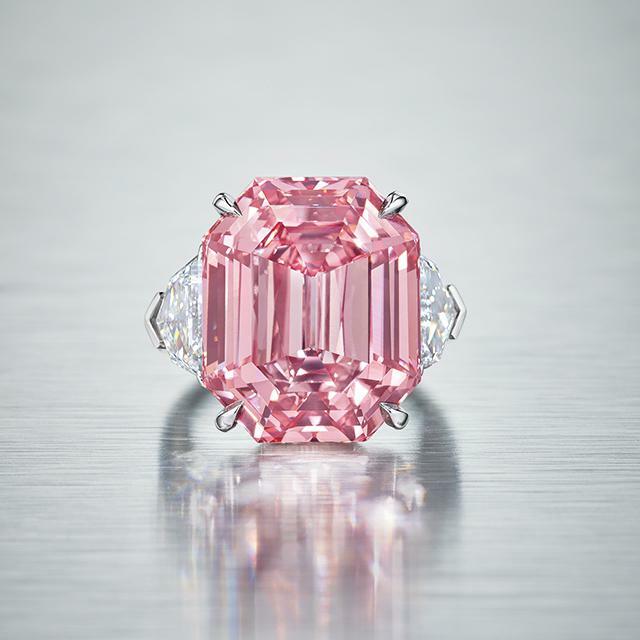 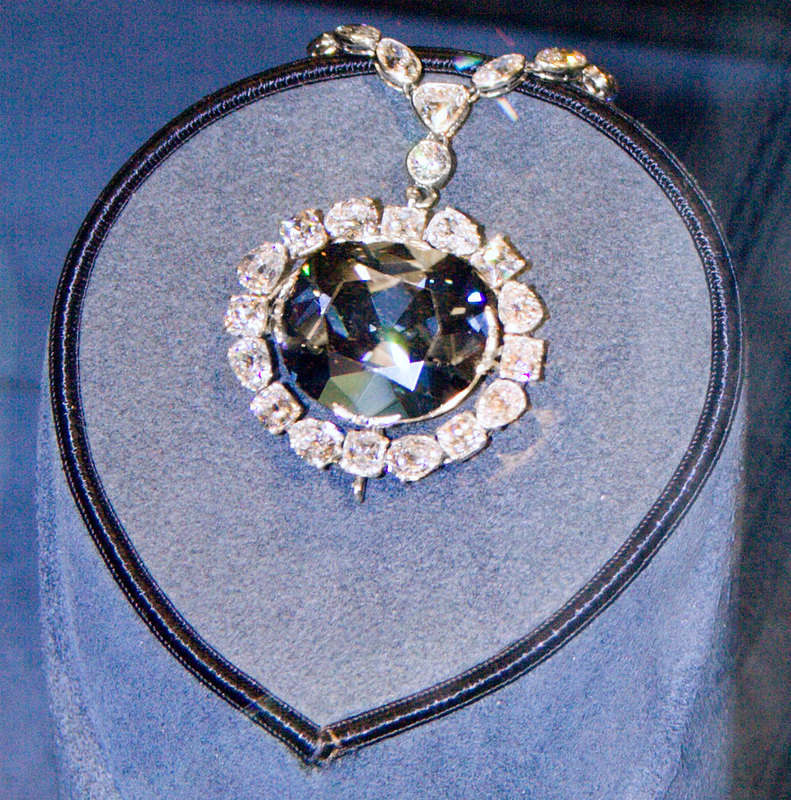 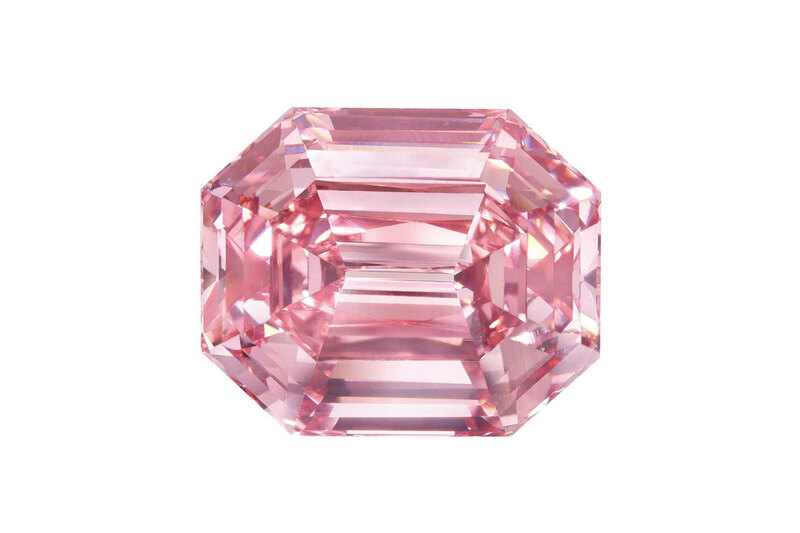 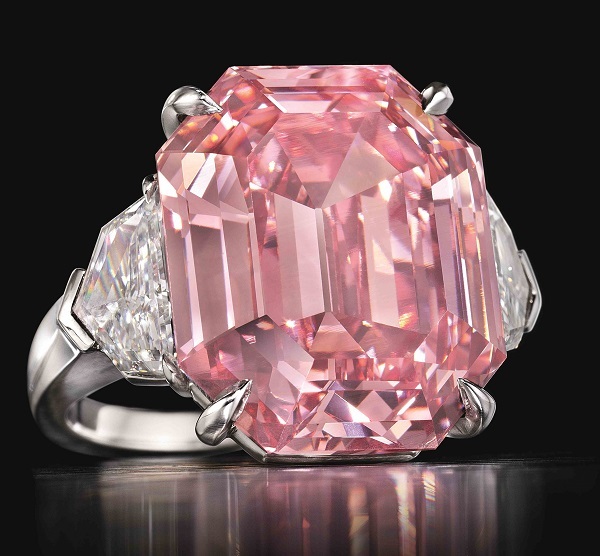 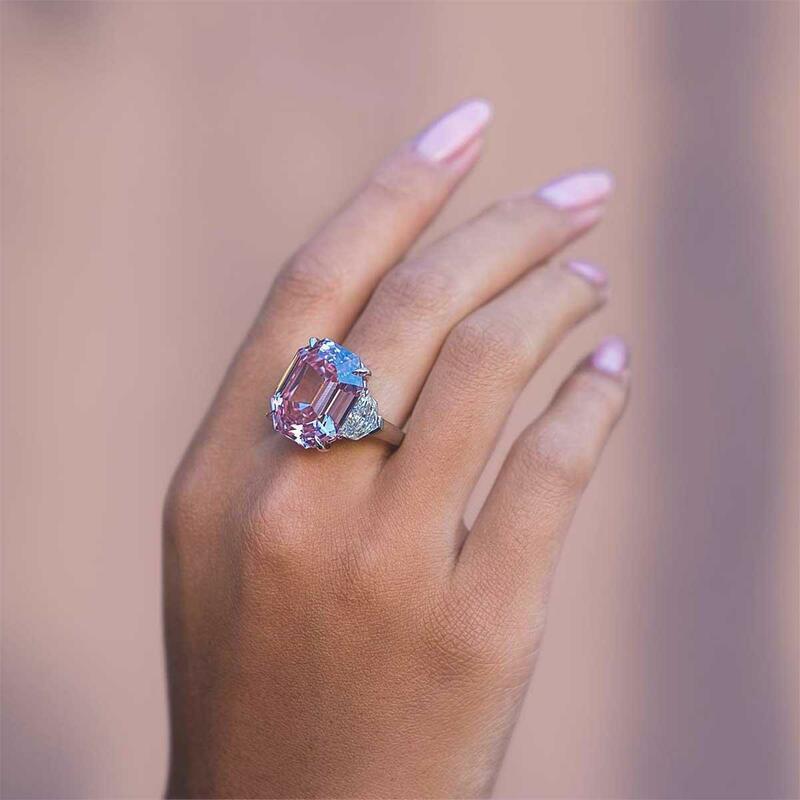 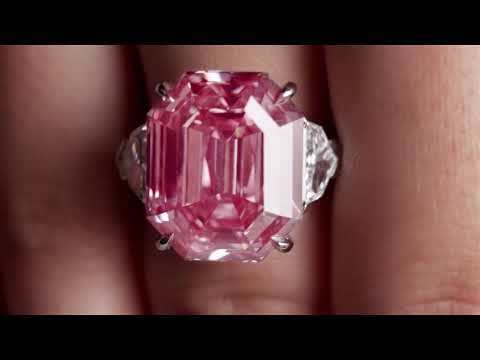 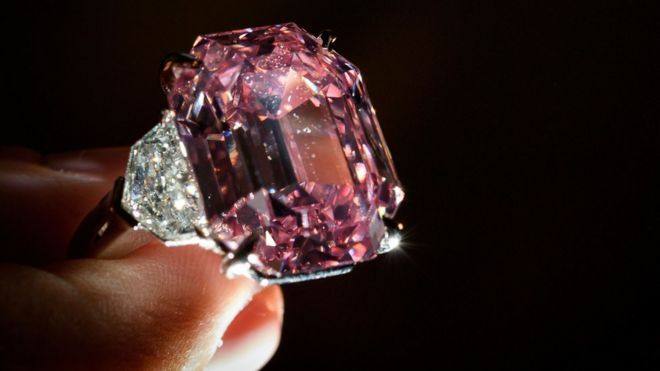 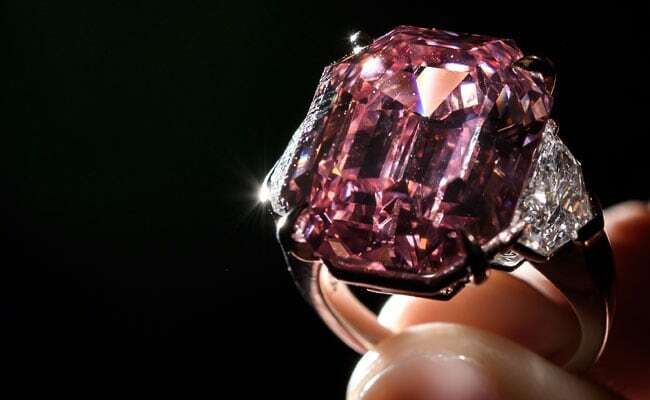 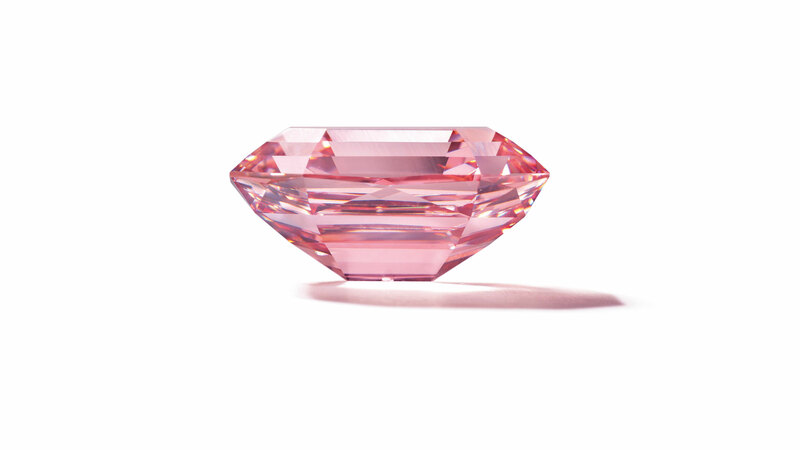 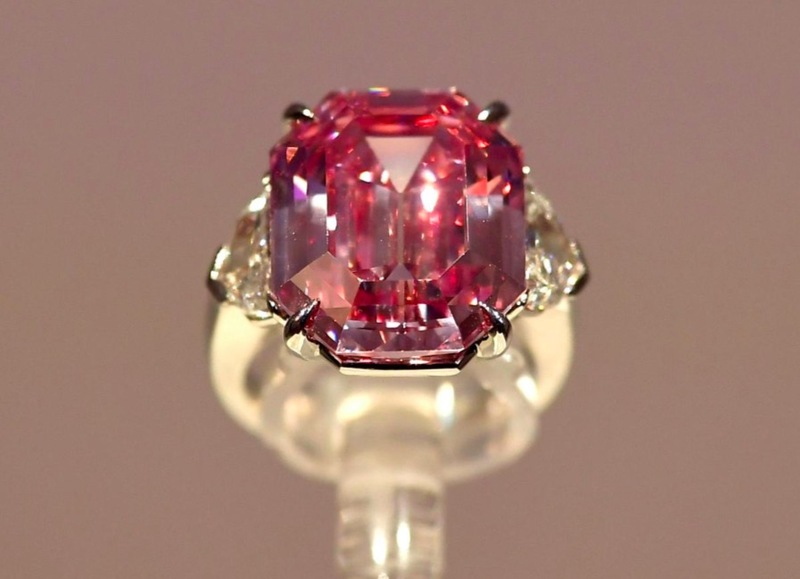 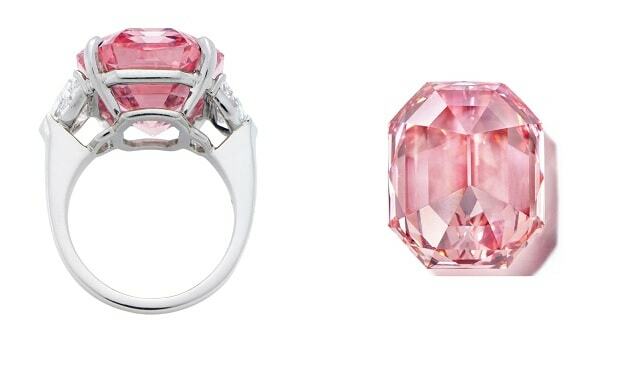 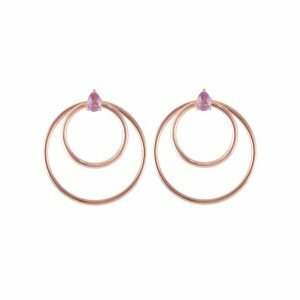 | Tiffany & Co.
and most exotic gemstones, a legacy that is brilliantly reflected by a scintillating pink spinel framed in dazzling diamonds and tourmalines. 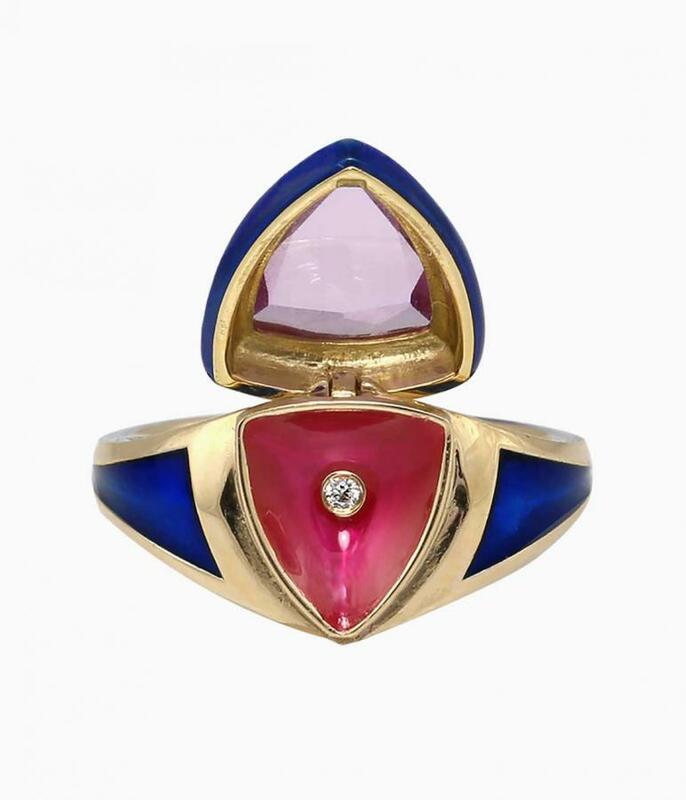 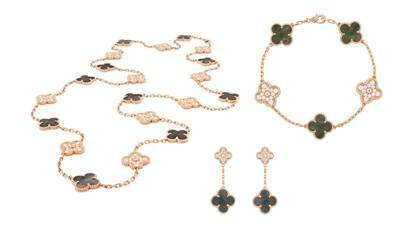 Jean Schlumberger's cricket clips in 18-carat yellow gold and platinum with pink and blue sapphires, diamonds and emerald eyes.